In first class decorative order throughout. Pretty rural views to the hills in the distance from the sitting room. Pretty landscaped gardens to both front and rear. Built by the well-known company Thomas Homes in 2006, a local company noted for their outstanding build construction quality and attention to detail. This is a very light and bright house with plenty of storage which the vendor has increased with additional under eaves cupboards to the main bedroom. The accommodation is unusually spacious with beautiful views to the Chiltern Hills to the rear from the sitting room, kitchen and main bedroom 1 suite. The attractive rear gardens have a wide stone laid terrace area for summer dining, a well-maintained lawn and flower beds. The present owner has made a number of improvements which include; replacing all the ceiling spotlights with energy efficient LEDs, one side of the kitchen has been fitted with a new range of cupboards, drawers, larder units and polished oak working surface. The addition of a new shower room with Matki shower and wall hung toilet on the middle floor, adjacent to bedroom four presently used as a study. ● Gigaclear ultrafast pure fibre network delivering broadband speeds up to 1000Mbps. ● Solid oak wide plank flooring in the family room and ground floor hall. ● The family bathroom with thermostatic mixer tap for bath and shower over, new shower room and the en-suite shower room are fitted to a very high standard. ● Spacious cloakroom/utility room with plumbing for washing machine and separate tumble dryer. ● Spectacular and unusually large kitchen/dining room, one side of which has been refitted with an extensive range of cupboards, drawers, larder units and polished oak working surface and fitted LG American style fridge freezer with ice and cold water dispenser, 4 ring ceramic hob with stainless steel extractor hood over, double stainless steel electric oven unit, ceramic flooring, fitted dishwasher, 1 ½ bowl stainless steel sink unit with Brita swan neck filter and mixer tap and drainer over mounted to the wide working surfaces, pair of ceiling hung lights with shades which, in keeping with the LED spotlights, are controlled by dimmer switches. Window overlooking the gardens and with views over the Chiltern Hills, and a door giving access to the garden. Gardens: To both front and rear are landscaped and well-planted. The rear garden has a lawn and flowers beds. It is partly walled and very private with a stone laid terrace for summer dining. The close is a private road with ample parking for visitors, and allocated carport plus additional parking space providing two parking spaces in the car port owned by this property. Local facilities: Stonehouse is situated within walking distance of many beautiful amenities. Basildon Park which is managed by the National trust has many fabulous walks within the grounds, a childrens` play area and a superb tea room. Beale Park with its many animals and activities for children. St Bartholomew`s which is a striking flint-and-brick church and stands in a peaceful churchyard near an idyllic stretch of the river Thames. There is a Spar convenience store within a short walking distance which sells newspapers and essentials. Only a short distance by car from Upper Basildon and Goring both of which enjoy a very active community; Upper Basildon village hall hosts a number of events during the course of the year including the popular village market one Saturday a month. The recreational ground has a football club and an excellent tennis club. The Red Lion is a popular pub serving local ales and food. For the equestrian enthusiast there is a large livery yard with many bridle paths surrounding the village. There is an excellent sporting complex open to public membership at Bradfield College with indoor tennis courts, squash, indoor swimming pool, fitness centre, etc. There are plenty of golf clubs nearby and the Royal Berkshire Shooting School is within easy driving distance. This semi-rural location benefits from being just a few minutes` drive from the nearby Thames side village of Pangbourne which offers a range of amenities including a splendid selection of independent award winning specialist shops including a butchers, cheese shop, organic farm shop, supermarket, library, doctors, dental practices, hairdressers, pubs and restaurants. 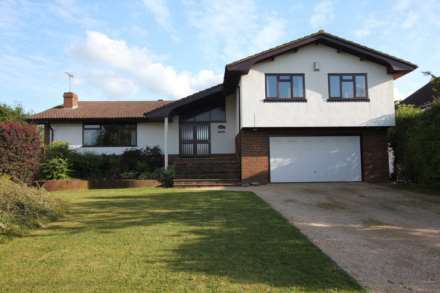 Schools: The property is within catchment of Upper Basildon C of E Village Primary School, and on the bus routes for the outstanding Downs School in Compton, Abingdon Boys, St Helen`s and St Katherine`s and The Convent School all in Abingdon. Reading Boys and Kendrick Girls Grammar schools are a short train ride away in Reading. In addition, Pangbourne College, Bradfield College, St Andrew`s Preparatory School, Cranford House Girls` School, Moulsford Preparatory and Senior School for boys, Downe House Girls` School and The Oratory Preparatory and Senior School. Directions: From the offices of Dudley Singleton & Daughter turn right, proceed out of the village, in the direction of Streatley after passing Child Beale Wildlife Park on your right you will go through a set of traffic lights. Pass the National Trust Basildon Park entrance on your left and enter a 30 mph zone, a short distance along Stonehouse will be found on your right. Services: Mains water, drainage, electricity.